I know what you are thinking. We live in Indiana, amongst the corn fields and the steaming cow pies, and the beach is far from reachable on a weekly basis. 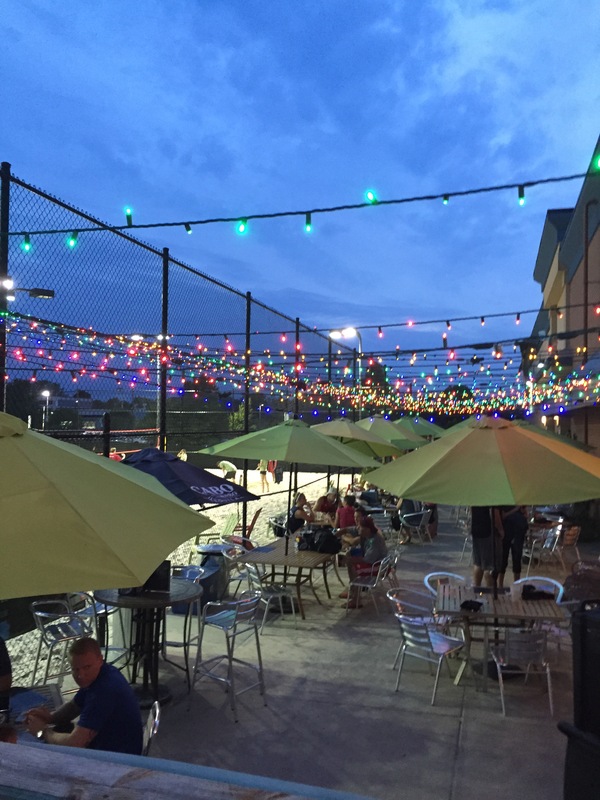 Fear not, your weekly dose of Sand Volleyball is actually within reach, even on a school night at Pinheads. For the last two months, I’ve been playing sand volleyball in the Circle City Athletic’s league up at Pinheads in Fishers on Wednesday nights. Since entering the work world, I’ve found it quite necessary to celebrate each and every hump day. Sand volleyball has been just the ticket to build in the weekly celebration. Each Wednesday night, my co-workers and I gather outside the Pinheads Tiki Bar, smash a few buckets of cheap beer, and have a great time experiencing some healthy competition and laughs on the court with our toes in the sand. Oh yeah, and it’s a little exercise, too! 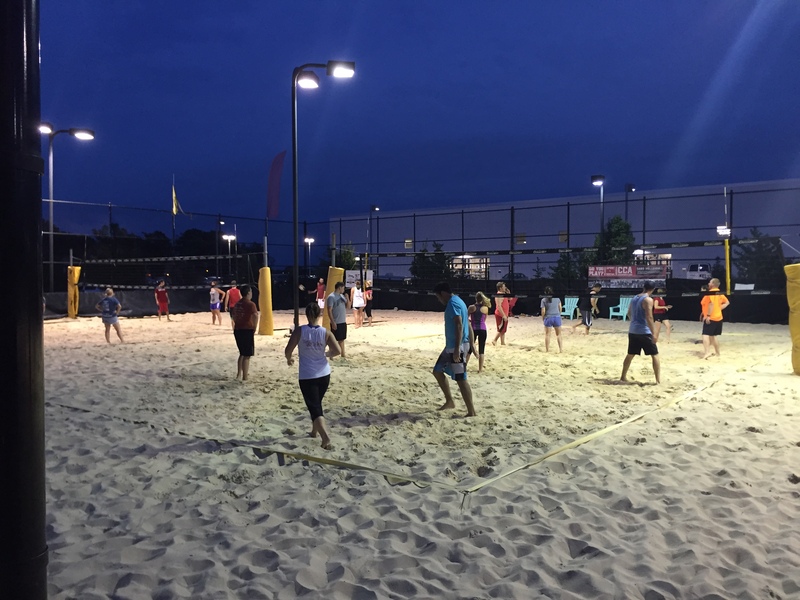 If sand volleyball isn’t your jam, Circle City Athletics offers a wide variety of fun, recreational sports leagues all year round, every night of the week (including weekends) around the city. Check out the full list here. Tiki bar and spectators area for sand volleyball. Form your own team, or join an existing team to meet a new group of people. Of all my experiences in Indy, this has been one of my favorite activities because it makes me feel young and connected with others my age in the city. Interested in sand volleyball? Registration for the next session has not opened yet, but check back here soon to register your team. And if sand volleyball isn’t your thing, check out the many other recreational leagues offerred by CCA!